Problems with your drains can be hugely inconvenient, which is why we operate 24 hours a day, 7 days a week to provide you with all emergency drain services. Knowing that there is always someone at the end of the phone ready and waiting for your call can ease the stress of drainage problems immensely, so don’t hesitate in calling a member of Blocked Drain Swindon team today. Our team of dedicated, professional drain engineers are fully equipped to tackle any problem, so whether you’ve got a drain blockage or need some repairs or maintenance work done, no job is too big or too small for us. We value your satisfaction as our number one priority, and we aim to provide every customer with the very best service at the best prices, so call today for a free no obligation quote. We offer genuinely low, fixed prices so you’ll always know just how much you’ll be paying no matter how long the job takes to complete. Most jobs can be done within an hour, and with a fast response time of 2 hours we can guarantee that your drainage systems will be taken care of swiftly and efficiently, leaving you to enjoy the rest of your day with minimal disruption. We know that it may seem easier to try and fix the problem yourself, but this can often lead to more damage and more expense, which is why we recommend calling a member of our team for help and advice. Prevention is the best solution, and while some blockages are inevitable we always make sure to use the very best preventative methods of fixing your drains to ensure that the problem does not reoccur, saving you time and money. So if you’re in need of an emergency drain engineer, or if you want some friendly guidance, call us today to speak to one of our trained advisors and receive a free no obligation quote. Swindon drains have seen all sorts of different drains in the years and over the years we’ve gained some knowledge about the best way to approach each different type of blockage, that’s what’s best for us and the customer. Swindon Drains Has the latest and greatest tools, knowledge and experience to unblock any internal or external, commercial or residential, toilet, drain, shower, or sink, or any other type of blockage you may have, unless it’s a blocked nose, we’ve got you covered. Swindon Drains is always out and about trying to reach people in different areas and push our boundaries as far as we can. If you think you might not be in our catchment area, don’t just assume you aren’t, call us up and speak to one of our trained office staff, they can answer any questions you may have about any of the services we offer. Having a blockage in your home or place of work can be a very unpleasant experience, which is why our team are on had to help clear your drains as quickly as possible with the least amount of mess caused. There is always someone on the other end of the line as a point of contact for a personal service requirement and first hand expert advice. With the latest equipment and tools to give you the best service for your property, whether it needs rodding, high pressure water jetting or preemptive pipe cleaning. High pressure water jetting is a fast, clean and environmentally friendly way of maintaining water flows through your drains with ease. High pressure jets are an industrial tool that pump large streams of pressured water on to focused points. 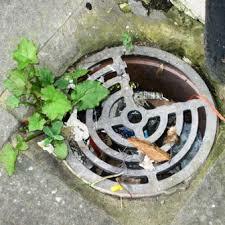 The force of the water quickly removes blockages and restores your drain to full working order. Swindon Drain Unblocking endeavour to be on site in an hour and offer low, competitive prices with discounts for OAP’s and students. Contact the team today to organise high pressure water jetting for your drains and sewers, providing pipe cleaning services all around the Swindon area. Blockages in sinks can be a major inconvenience, often causing a mess and an offensive smell. In most cases, the cause of a blockage in the kitchen sink is due to a build-up of household waste but once on-site, the team can confirm whether this is the case within minutes. To prevent a sink blockage, there are simple steps you can take to ensure this doesn’t happen in your household. By just being aware of everything that is going into sink can save you a huge inconvenience. Ensuring all food waste is scraped from plates and put into the bin and that any grease or oil is left cooled and put into the bin can save you from a blocked kitchen sink. If you do need to pour any fatty substances into the sink, then pouring boiling water into the drain afterwards can help to flush away the oil/ grease and leave the drain flowing freely. This, as well as a CCTV survey, are all steps we recommend to prevent further issues. Swindon Drains has over 20 years experience and the latest and greatest tools to get through any blockage no matter the size or shape, and it doesn’t have to be a blockage. You may suspect that your drains are blocked but in actual fact they may not even be blocked they could just be broken and some blocked drain companies won’t be able to fix them. Swindon Drains is 24/7 so no matter whether you’re in a rush to get a blockage or alternative drain problem cleared, give us a call! It doesn’t matter if you have a busy schedule that you have to keep to because Swindon drains can come to you at a time that’s good for you, that probably wouldn’t be good for other drain companies. 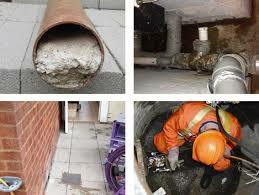 24/7 quick response in emergencies and all the tools and experience to deal with your drain problems. Call Swindon drains now and talk to one of our trained advisors about how we can sort out any drain troubles you might be having in the Swindon or surrounding areas, today!